Nickelodeon Animation Studios isn't your average internship. With water fights and elaborate intern projects, the program gives students a great deal of training and mentoring--and asks for commitment and hard work in return. I recently spoke with internship coordinator Ashley Morley and recruiter Josilin Torrano. For this installment of the two-part interview, I learned about training, mentoring, and the day-to-day lives of interns. Stay tuned for part two! Vault: Tell me about the Nickelodeon Animation Studios internship program. Ashley: Our program is like most others, in the sense that it's every summer, spring and fall. We do, however, only hire 30 to 35 interns every semester. We do this because we love the amount of time we get to spend with each individual intern. We structure our schedules so that we're available to them. Josilin and I spend about 80 percent of our days talking to interns, guiding interns, mentoring interns, and scheduling classes for them. Every semester we host a mandatory orientation where we go over everything from how we fit into the world of Viacom and MTV Networks and our history, to our culture, studio principles, success factors, things to avoid and even email etiquette. Our goal is to set them up for success. From there, we give them a survey in order to decide what intern classes we'll offer that semester. There are all different types of classes offered, from How to Pitch a Show and Post Production to Storyboarding and Casting for Animation. We really let the interns customize the curriculum, so that everyone gets something out of it. Our classes are every Friday here, with catered lunches! The goal is to have the heads of each department come in and talk about how they got into the business, what their day-to-day is like, advice and hopefully a funny story or two! We do expect a lot out of our interns, but we give them a lot back in return. We have a saying here that "if you're going to get coffee, you're going to get coffee for yourself." Interns do everything that a production assistant (PA) would do, from copying storyboards and labeling to research and pitching ideas to the studio general manager. Vault: For those classes, do you break up the interns depending on what they're interested in? Ashley: We don't break the interns up, but we do try to break the classes up as evenly as possible so that everyone gets something out of it. So we'll have classes on animation development and how to budget a show for the non-artists, and storyboarding and character design for the artists. Josilin: Even with the classes that are skewed one way or the other, there is something for everyone who attends. For example, we want our business and legal affairs intern to attend the storyboard class. That class isn't just about art, but about pitching your ideas, being able to put together a story, and getting comfortable speaking in front of a crowd. We also think it's good for interns who want to be artists to attend the classes on how to budget a show or run post production so that they have a better rounded perspective on what the studio is like as a whole. What do interns do when they're not in class? What are their responsibilities? Vault: What kind of training do the interns get within the department to which they are assigned? Ashley: We are a union shop, so we can't have any of the artist interns actually draw on our shows. But they will do everything that the PAs are doing. So they are learning the production side of making a cartoon. Every week, we ship one 11-minute episode of all of our shows. The production side makes sure deadlines are being hit and money is staying under budget. Our interns are putting together storyboards, character designs, colors, backgrounds and all of that preproduction stuff, and then shipping it to our overseas studios to actually animate. So that's what the interns are doing: they're learning how we make cartoons here from the bottom up. Meanwhile, they get to work on their portfolio and their reels. They even take a class on how to put together their portfolio in which they sit down with studio artists and get critiques from them and Josilin. The goal is to have them walk out of Nickelodeon with a sellable portfolio that they could take it to Disney, Warner Brothers, Cartoon Network, etc. Josilin: As Ashley was saying, they're basically working every day as PAs, which means they can walk right into a production assistant full-time role, executive assistant, or any other entry-level job within our studio with minimal training. It's a very seamless transition, which is why we hire so many of our interns. They can come right in and they're perfect. Vault: You mentioned building the portfolio as an internship-long process. Are there any other program-long projects? One intern told us last year in his intern experience survey that he got to pitch an original show idea to the upper management, which is such a great opportunity. Ashley: We do have an intern project every semester. The interns as a group are responsible for coming up with this idea. We've had interns create a mural for a local elementary school. We also host an art gallery every month where we showcase the work of an artist in the studio. This semester, the interns hosted a gallery of their own artwork. They included paintings, baked good, clothing, jewelry, photographs and poems. They were able to put up their artwork and actually sell it to the studio. We have a party and the whole studio comes out to support them. This semester, our interns came up with the theme of calling it "Nick Knacks," which was adorable. Josilin: One year, I think it was two semesters ago, they made this video, "a day in the life of an intern." All the interns came together and filmed this little, very campy documentary about what it's like to be an intern--or a "Nicktern," which was actually coined by one of our interns--at Nickelodeon. It was great because everybody could get involved. They had to pitch to our senior vice president; tell him what they're going to do and how they're going to pay for it. They had to write a script and film it, and they had to get involved with our post-production department. They talked to our VP of business and legal affairs and figured out the right certificate of authorship contract, created it, and had everyone sign it. Then, they created it, got it signed by everyone, took it through the process. Ashley and I actually bring that video along whenever we go to visit universities and recruit. All of the key players come out; it's hilarious; and it gives the students an idea of what it is like to be an intern. Vault: What role does mentoring play in the internship program? You mentioned that the interns are shadowing PAs and learning about what a PA does, but what sort of access do they have to senior executives and other industry experts in a mentoring capacity? Ashley: In the beginning of the semester, we have prior interns come into the orientation just to kick it off--to talk about their experiences, how they got hired, and to give out their contact information. From there, Josilin and I meet with every intern individually. We go over their goals, what they want to get out of the internship, and then we direct them to about four or five other people in the studio. It's like a phone tree! You call a friend who calls a friend: it just grows. Josilin and I have always said our program is only as good as the people who work here. Everyone in our studio remembers what it's like to be just getting into the business, and they want to help. Josilin: One previous intern, who is now a full-time employee, created something called "lunch bunch." She comes in during orientation, gives them her tips, explains how she got where she is, and then lets them know that, "Every Monday, if you want to have lunch with me, I'll be sitting here in the courtyard or I've reserved this conference room. We can just sit down and talk." She leaves it pretty open-ended. The great thing is we never asked her to do that. She's seen how this internship and this studio have affected her life and wants to help. Ashley: Mark Taylor is our general manager and senior vice president and he is basically our interns' No. 1 fan. He sits down with the interns every semester for a two-hour lunch, where he goes over his career, advice, answers questions and throws out a quiz at the end with prizes. At the end, he says, "This is my assistant's name. This is her number; and every single one of you needs to make an appointment with me." It's great: every intern gets 30 minutes of Mark Taylor's time. He goes over their goals again, mentors them and gives them contact information for people to network with from all over the business, not just at Nickelodeon. Josilin and I would love to hire every intern we have here, but we don't always have 36 open positions. Our goal is not just to get them hired here, but somewhere in the entertainment business. Our job as recruiters is to network with other studios so that when we have good interns, we can say, "Hey, guess what? This person was awesome. She did this and that. She would be perfect for you." And, in fact, Disney has hired about eight of our interns in the last six months. We've even heard their hiring managers saying "Nickelodeon has found a way to create the perfect PA." And that's just about the best thing we could have heard; it makes everything worth it. Vault: That's amazing. The focus on education and training is exactly what an internship is all about--preparing them for and launching their career. Ashley: When Josilin and I were interns, there were a lot of things we wish we had offered to us. That's why we incorporate so much training and mentoring into our program. Sometimes it can be a lot of hand-holding, but we feel it's the only way to set them up for success. Sure, there are going to be times where they get their hand slapped and learn the hard way, but that's all part of the learning experience. Vault: A lot of people have had similar experiences--had internships where they didn't get enough education and training. I actually changed my career plans after an internship that wasn't a good fit for me. Josilin: We want to encourage them to stay in our industry. But, like you just said, sometimes an internship can also teach them that this isn't what they want; maybe children's entertainment isn't for them. For me, I love it when artist interns come in and fall in love with the production side of things. Or visa versa, when a production intern rediscovers their passion for drawing and goes out and purchases they're first sketch pad in years. Vault: Absolutely--I think that exposure to as many different options as possible is really valuable. You've already talked about this a bit, but I was wondering if you could expand on what social events and networking opportunities are available to the interns. Ashley: Not only do the interns have specific intern activities, they also attend our employee networking events and parties. Pretty much for every holiday, there's a party. We have a friends and family party in the summer and we're doing remote control car races in two weeks, where we turn the studio into a race track and every production gets a race car. Throughout the year we also host lots of charity events, which the interns can also participate in. Josilin: We just had our Nickelodeon Friends and Family party. We turned the entire courtyard and studio into a Coney Island-themed party. We had funnel cake, hot dogs, acrobats, fire-breathers and, most importantly, squirt gun fights. The squirt gun fights are a big part of the friends and family event, and the interns really loved it. Through the next week, I watched as all of their Facebooks were populated by pictures and status updates about how much they loved this studio and they couldn't believe this is a real place you can work. They were just blown away that this was something that they got to attend, for free. One said she couldn't believe that she had a squirt gun fight with the SVP. Ashley: We also do something called "Nickelodeon University," which is our own school for all our employees. We've done classes such as: Introduction to Korean, Spanish 101, Beer Tasting, Chocolate Tasting, Intro to Post Production, Photoshop, Color Theory, History of Animation, and the best part is, they're all free! Nick U was designed to offer opportunities for employees to learn something new, network and have fun. The Nick U classroom is special in the sense that once you walk in there is no difference between and VP and PA. Everyone is on an equal playing field. That's another area where interns can network, learn, and make friends in our studio. Nickelodeon Animation Studios is one of Vault's 2010 Top 10 Internships. 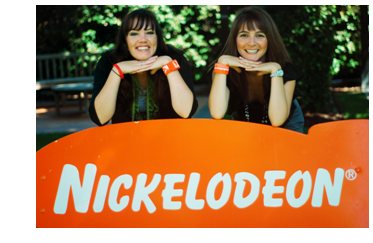 Be sure to read the full Vault Nickelodeon internship profile and stay tuned for part 2 of my interview with Ashley and Josilin.